With vast scope of operations that Tally can handle for your Business, it is imperative in today's ever-changing business environment, that you will require assistance and support on the usage of the software from time to time. 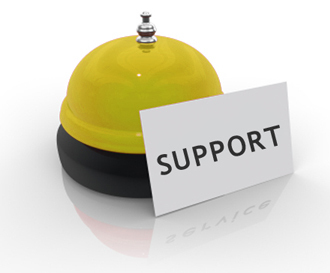 Providing world-class customer support on which your business can consistently depend is our goal. You will enjoy friendly, personalized service from our Tally Software Support Professional who understand Tally inside and out -- and whose intimate knowledge of all updates will help you get the most from your investment. The Tally Online Help (Context Sensitive Help) will guide you through the various stages of implementing Tally. It is a reference document that is to be used as your first source of information on how to use Tally. If you do not find what you are looking for, you are welcome to contact our Technical Services Representative.